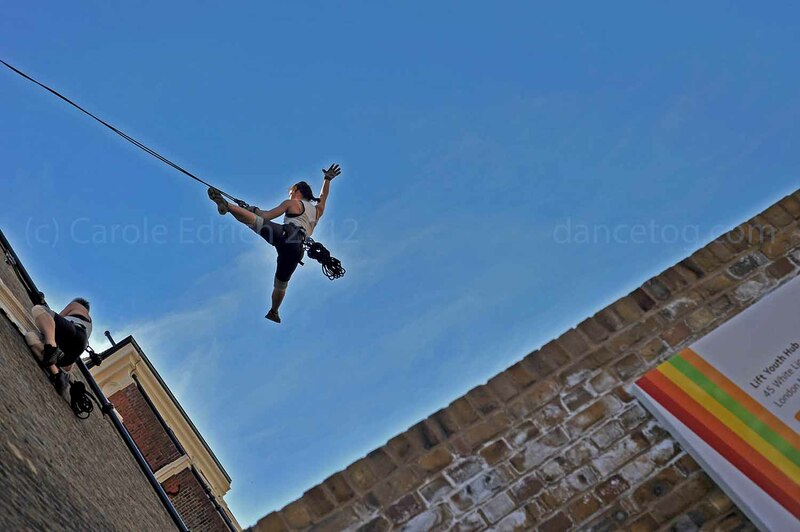 I like this shot, also taken at the Big Dance Bus celebration of the Lift Hub at White Lion Street, because it shows the height at which the circus artists were working. What I didn’t like, however, was that the safety kit they were using was so obvious. It wasn’t with Compagnie Retouramont. I’m now wondering whether this is a result of training, budget or choreographed aesthetics, and whether anyone will take an article about it, once I’ve found out.